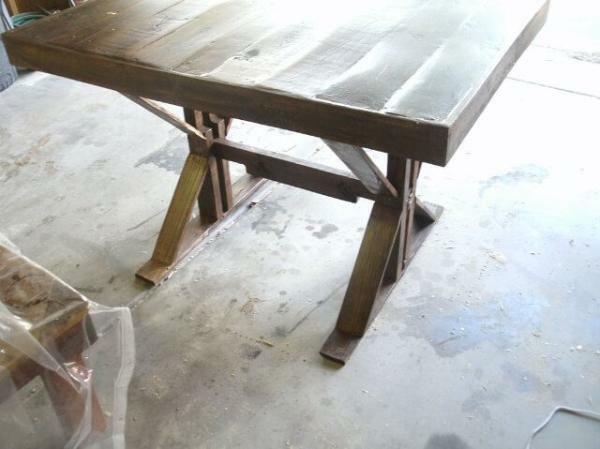 This wonderful project of Pallet trestle table is little difficult due to its legs and the lower side of the table. 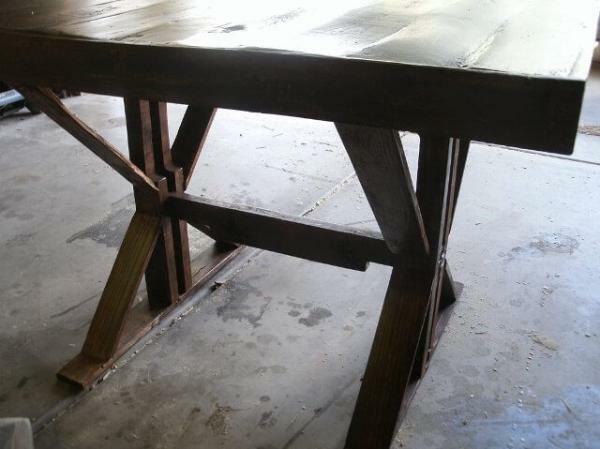 Look at the pictures of the pallet trestle table and try to understand how you can make its two legs on both sides with two supports on each side other than the main middle support to the table with each leg. These two supports on the upper as well as lower sides of the legs help the table to keep its balance and prevent it to fall down. These two legs are connected with each other with a pallet wood in between them. 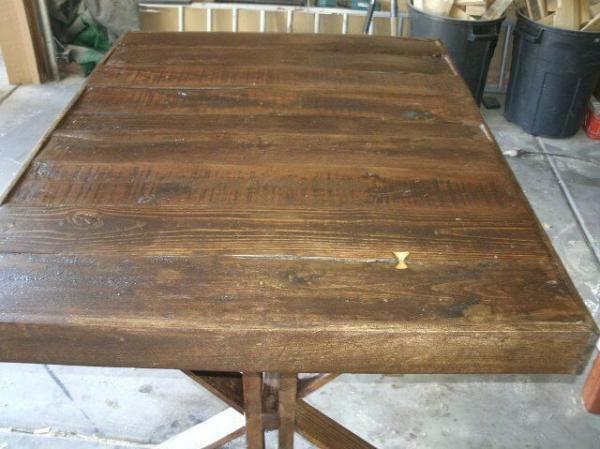 You can make the upper portion separately of pallet trestle table by adding different pallet woods in equal length. 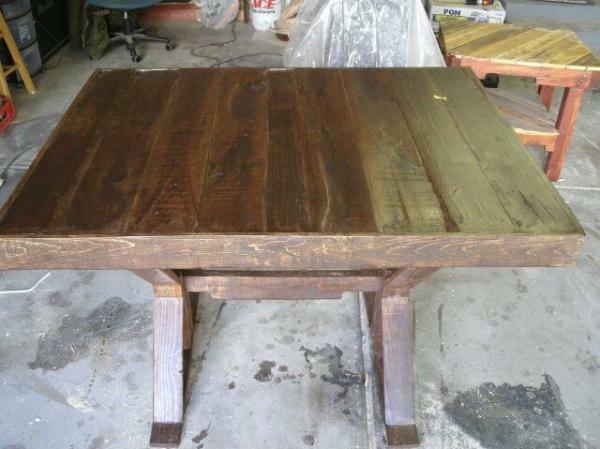 You can also add boundary of the pallet table with the lean pallet wood on all sides of the pallet table. You can place this pallet trestle table anywhere in your home and it can be used for different purposes. The legs of the table are very delicate so do not put heavy items over it. This table is good to use as iron stand or as little dining table. 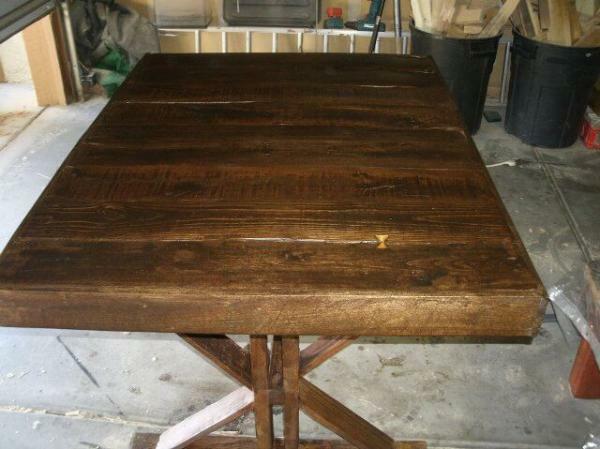 You can try this project at home to make this table with some skill.